Toadled: "A seemingly normal afternoon turns into an apocalyptic day when one tiny toad gains the ability to grow more and more with each thing he eats.. Now he is on a quest to consume the entire universe!..." ChromeInfo Technologies is an expert in Multiplatform app development. WDP has earned a good experience in development of cross platform apps for Android & iPhone. iON App: "i-ON is a unified account management app for i-ON internet subscribers. Built with PhoneGap, this Hybrid app provides a whole set of features for the internet subscribers. From design to integration w..."
Our cross-platform expertise (in Ionic and React Native, etc.) allows entrepreneurs to deploy their apps in both app stores while applying only one codebase. PaxCampus: "App allow patients to schedules their activities, explore programs and locations." "IndiaNIC team is patient and understanding and our clients are satisfied with the changes. As a result, the customer return rates have significantly increased and we're very happy with India..."
"Dotsquares is a flexible team that delivers solutions on schedule and always provides their best work. The results are what we expected from them and their communication skills are great as ..."
For those online firms whose major interest lies in the mobile market, developing separate apps for all the major mobile OS platforms is a tedious, time consuming and expensive task. Cross platform apps work on different mobile Operating Systems with only one code. Cross platform, or Hybrid apps, use third parties APIs and programming languages to make a mobile app available in the different app stores. The cross platform app market will reach the $7.5 million by 2018, the number of tools to develop a cross platform app will also evolve and improve. Cross platform app development includes apps for Android, iOS or Windows, this way users can download the app from all the marketplaces. Cross platform app development gives the client the opportunity to build apps for all the most prominent app stores of the world. This way, the reach that a mobile app can obtain multiplies exponentially. In a fast and agile way, the app will be available for download in all the app stores and for all the mobile devices. There are different technologies to make a cross platform application: Ionic, Xamarin, PhoneGap, Appcelerator or iFactr. Cross platform apps are recommended when the client is looking for an MVP (Minimum Viable Product). If the client wants a more ambitious app with an adapted UX for the guidelines of each platform, then it is recommended to develop a native app for iOS, Android, Windows or BlackBerry. The languages used to develop a cross-platform app are: Xamarin, PhoneGap, Ionic, Intel XDK, Sencha Touch or HTML5, among others. Looking for top cross-platform app developers? 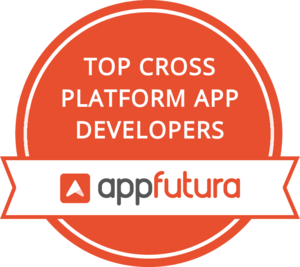 In this cross-platform app development directory you will find the best developers with verified reviews, thanks to the AppFutura team manual review validation process. Take a look at the directory, choose one and work with them from the safety of our escrow payment system. To give you an idea of how our projects look like, you can check some cross platform app projects currently underway in our marketplace.